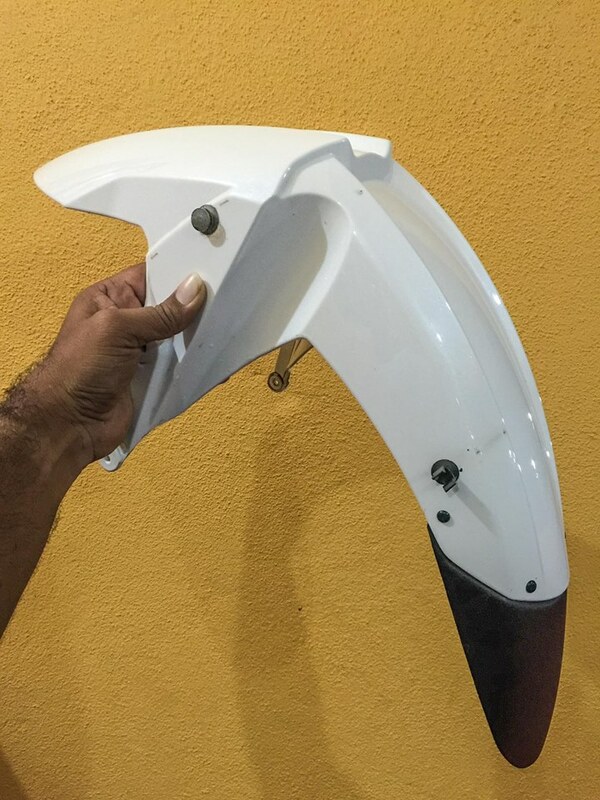 While the front fender of the Triumph Tiger is designed to look sleek and match the overall look of the bike, it does a pretty lousy job keeping the radiator behind it clean when riding in the dirt. The fender ends a little too high. The front tyre kicks up mud and slush and aims it directly at the radiator. This clogs the radiator fins at a time when you are riding on low gear with less wind to cool the radiator, adding to the cooling problem. Today I installed a product called Extenda Fenda by Pyramid Plastics. 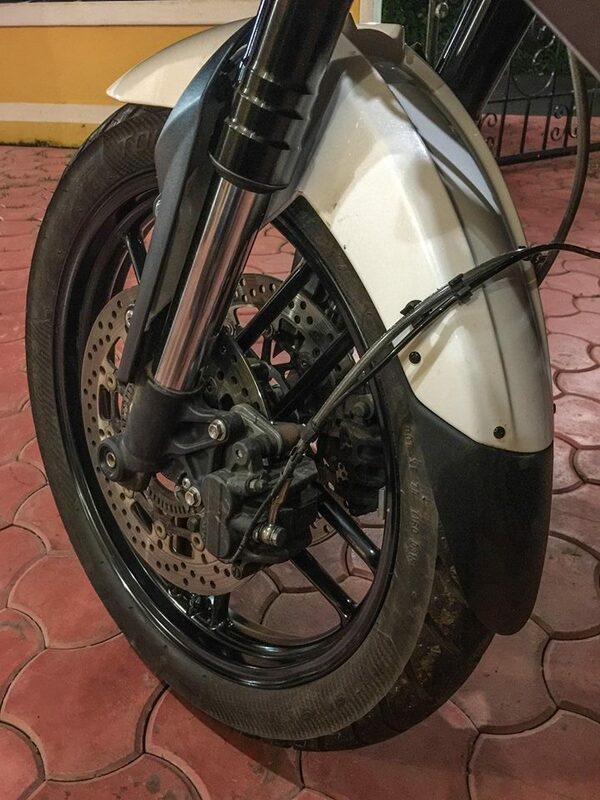 It extends the front fender of the Tiger by a good 5.5 inches which should be more than enough to keep the radiator clear of dirt and mud. Installation was easy. Simply remove the fender, drill four holes and press four rivet plugs into them. That’s all.